Cowes Harbour Services lays rows of day class event swinging moorings to the north of the Cowes Breakwater to provide moorings for Day Class boats up to 8m in length. See our Mooring Location Chartlet and the Events Moorings section for more details. 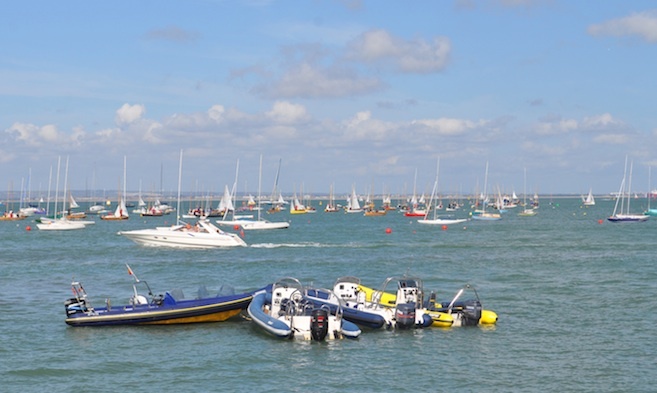 The day class event moorings are laid to demand generally prior to Cowes Classics Week and left in place until the end of August. Bookings for events should be made via your class secretary. Outside of events the moorings may be used subject to availability by calling ‘HM1’ on VHF Channel 69.